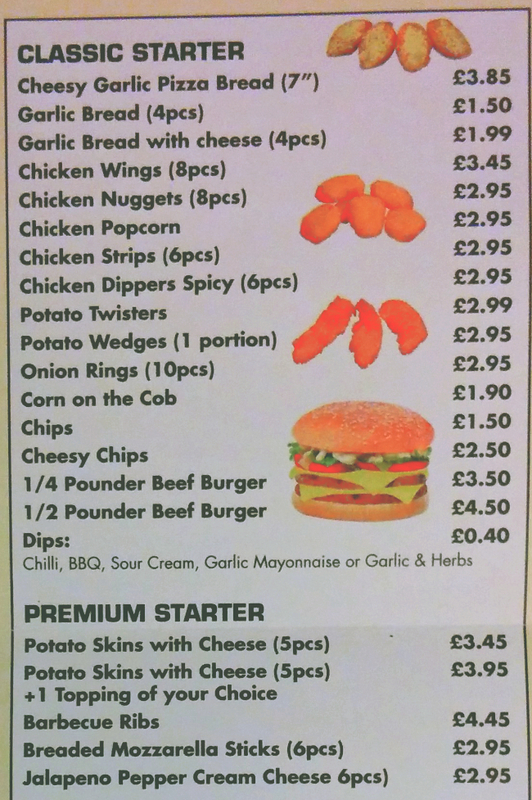 A flyer from a pizza / kebab shop listed a number of ‘premium’ starters on its menu. What does that mean? Premium must be one of the most irrelevantly, lazily, and cheaply used words by people trying to sell something, including pizza / kebab shops. Since when have potato skins with cheese become a premium starter? Is it a very special cheese? Is it garnished with unicorn dust? By using words such as premium or deluxe or luxury to describe something, sellers are implying that it is better than the non-premium, normal range of products, but it is more expensive, or comes at a premium if you will. Sometimes, the use of the word premium can be euphemistic, such as in premium economy on aeroplanes that is in reality third class, but better than fourth class or economy. Sometimes, it is a way to charge more for things that are essentially the same: would this fine establishment charge the same amount for potato skins with cheese if they had been listed under classic starters, I wonder. In the restaurant and catering sectors, there are other words to denote that certain dishes are better and more special than others. Menus will often proclaim chef’s specials or house specialities, which might have fancier names, flowerier descriptions, and dearer prices. Should I have a normal, standard dish, or a special that contains an ingredient that can only be obtained by beating up a puffin (or something like that) and based on a recipe that has been handed down for four generations? Are non-premium, non-special options inferior and less flavoursome? Most probably not, but using words such as premium or special is an easy way to brand something and create different types of dishes. And even the non-premium, non-special starters in this example are called classic as if they are Roman temples. It must work, otherwise businesses would not be doing do this. We – and by that I mean consumers in general and the target of these words – are essentially stupid, falling into the same trap and fooling ourselves that we are eating something better. Potato skins may rightly be called premium if they had been cooked using some fancy olive oil and coated in grated truffles, but in most cases, potato skins are just potato skins. As a side note, I may be a glutton, but I do not consider a half-pounder beef burger a starter. Does anyone?